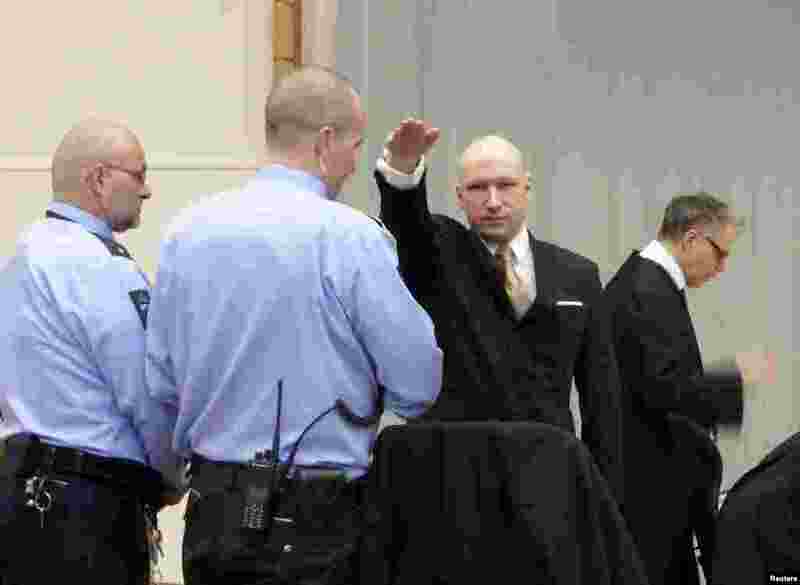 ٥ Norwegian mass killer Anders Behring Breivik raises his arm in the Nazi salute as he enters the court room in the Skien prison. 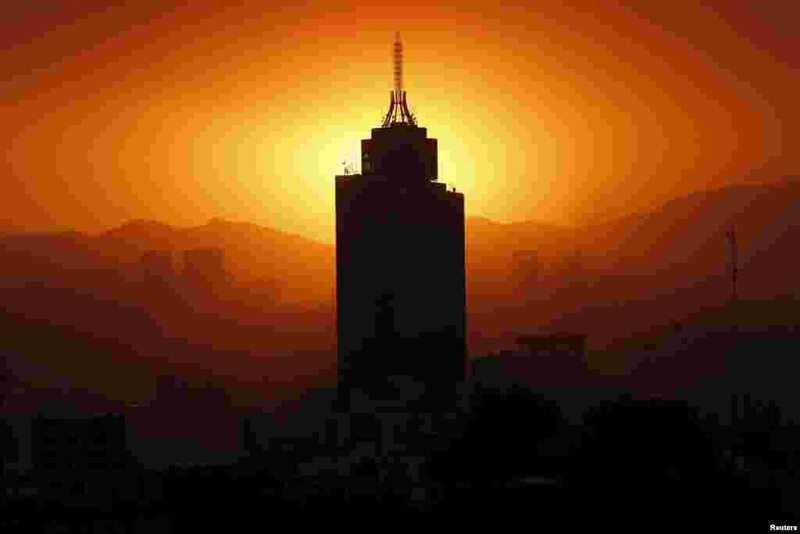 ٦ The sun sets behind the World Trade Center building in Mexico City, March 14, 2016. 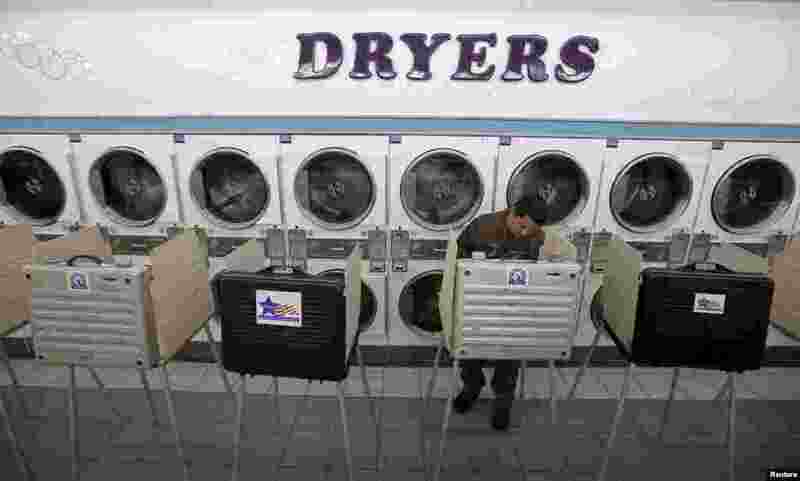 ٧ A voter casts a ballot at Su Nueva laundromat in presidential primary election in Chicago, Illinois, USA. 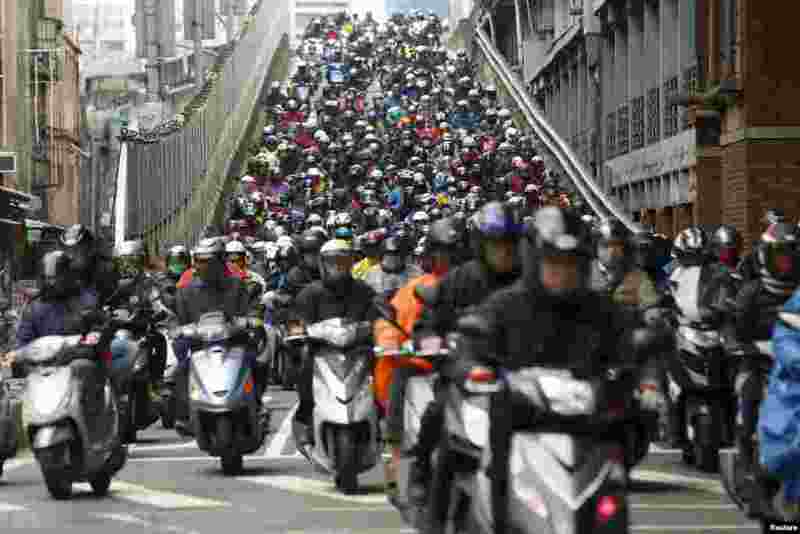 ٨ Motorcyclists ride to work on a bridge during morning rush hour in Taipei, Taiwan, March 14, 2016.